If you are marketing your business on the Internet, or know of someone who is, you may have heard that being on page 1 of a Google, Bing or Yahoo Search Engine Results Page (SERP) can contribute substantially to your sales efforts. Appearing in front of prospective customers while they are actively searching for your products or services greatly increases the likelihood of your business making a sale. It is important to understand the different parts of a search results page to determine how your business can take advantage of each opportunity. A SERP is a combination of text, images and links that are presented to a user when he/she types a query into a search engine (i.e. Google.com, Yahoo.com, Bing.com). The user will typically see a listing of links to websites, with descriptions beneath each link to help the user determine the nature of the content that they could find on each website. A quick glance at a SERP shows that they are predominantly text-based, so small and large companies that appear have an equal chance to catch the attention of users. These text listings are either sponsored listings, local business listings or organic listings. Sponsored listings appear at the top and right hand side of the SERPs. As the title suggests, businesses pay a fee to appear in these positions. A sponsored listing typically consists of a link and brief marketing description. Google.com and Bing.com have their own advertising platforms that allow businesses to setup an account for creating text-based advertisements. Once a business sets up an account, it can create ads, determine which keyword search phrases it wants to show ads for, and establish how much it is willing to pay each time a user clicks on its advertisements. By creating an account with one of these services, a business can also have their advertisements appear on other search engines. For example, at the time of this writing, SERPs on Ask.com and AOL.com show Google ads, and SERPs on Yahoo.com show Bing ads. Once your account is fully set up, your ads can show up in SERPs almost immediately. This is a great way for a business to promote a short-term sale or get to the top of the page. As an advertiser, you can control and customize the message being shown to different users. Since there are a limited number of ad positions available, search engines make advertisers bid for placement – the more you are willing to pay, the higher on the page you can be. This auction-style system can cause an advertiser to pay a substantial dollar amount for every click on competitive phrases. Constant analysis needs to be performed to ensure wise use of advertising expenditures. What should my business do about this? If you want to participate in sponsored listings, start with a small budget and test, test, test. Find out what keywords work best for your business; and how much you can bid on keywords and still receive an acceptable ROI for your advertising spend. In an effort to provide maximum targeting opportunities for advertisers, these platforms have become very complex to navigate. If you don’t want the hassle of dealing with the advertising platform, hire a trained professional to run campaigns on your behalf. When applicable, a SERP can contain a listing of local businesses applicable to a search query. The number and layout of these listings will vary, but typically contain a company name, physical address, phone number and link to company website. The search engines do not charge a fee to appear in these listings. To improve the user experience, search engines want to display local options for their users looking for select products and services. These listings usually appear near the top of the page, beneath the sponsored listings. 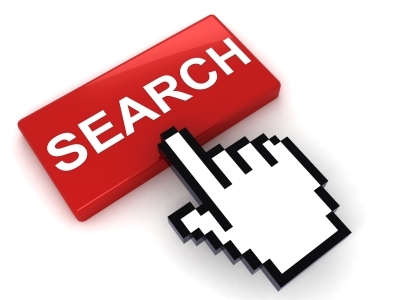 Search engines limit the number of local business listings shown, so all businesses in a given area may not appear. If your business sells products/services in many markets, you can only get exposure in areas where you have a physical location. Search engines give business owners the opportunity to add descriptions and images to their local business listings for free. This additional information can help your listing appear for more keyword search phrases. If a search engine allows users to submit reviews for businesses, encourage your customers to visit your local business listing and leave a favorable review. Search engines often use reviews as a way to prioritize placement within local business listings. The positioning of organic listings always appears beneath, and to the left of the sponsored listings. The position relative to the local business listings varies greatly – either above or below depending on how many the search engine wants to display. If your business is fortunate enough to appear in the organic listings, you can promote your business to interested prospects free of charge. The more keyword phrases that you appear for, the more visitors you can receive and the more sales you can generate. Most users perceive organic listings to be the most reliable source of information on a SERP, making them an excellent marketing resource for a business. Organic listings have been proven time and again to be one of the best resources for marketing a business on the Internet. Once a dominant presence on a SERP, the organic listings are constantly getting less real estate on the page. Since search engines do not make money from these listings, they are constantly looking for ways to provide more exposure for their sponsored listings. The reduced number of available positions, combined with an increasing number of businesses entering the world of Internet marketing, can make it very difficult to appear in the organic listings. While getting in the organic listings is possible, it can take time for a business get there. If you want your website to appear in the organic listings, it needs to contain information that is relevant to the keywords that are being searched for regarding your business. This can be accomplished with a combination of targeted marketing copy and website programming (a.k.a. on-site optimization). On-site optimization ensures that your website is relevant, but it is only part of the solution. The greater task at hand is to make your website more popular than your competition. Search engines tend to give priority placement to websites that are popular – if a website is popular, it will likely be a good resource for the search engine user. The best way to make a website more popular is to get people talking about it. In the online world, this can be accomplished by offering something that other website owners want to talk about on their site, and encouraging others to interact with your website (i.e. blog) and your business pages on social media sites (i.e. facebook, Google+, Twitter, LinkedIn). Off-site promotional efforts will have a greater effect than on-site optimization. For most businesses however, popularity must be earned over time. It takes constant effort to grow and retain popularity for your business online – enough to justify a dedicated employee/team, or the services of an agency. As a business vying for the attention of prospective customers, you need to occupy as much real estate on a SERP as possible. You should try to achieve a position in each type of listing – subject to your ROI goals. Every position you have is a position one of your competitors doesn’t have!